The Winns Community Summer Day is on Saturday 7th July 2018 - 12:30pm - 3:30pm. This year's theme is 'Wish You Were Here'. 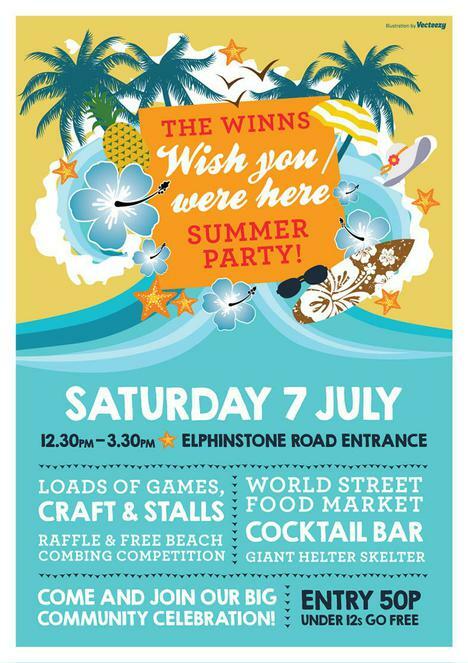 There will be craft stalls, games, a world street market, cocktail bar, raffles and a beach combing competition. Entry is 50p - Under 12's go free. You can bring it to the school, Elphinstone Road entrance during the morning or at the start of the event. The stall will be situated in the reception playground.